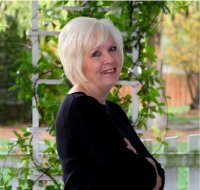 Today, the incredibly talented historical romance novelist, Becky Lower, is here to talk about her new release, The Reluctant Debutante! I had the very fortunate opportunity to read this exceptional story just prior to its release date, and it is a really special book. I cannot wait for you to meet her – Becky, let’s get started! Give us an overview of The Reluctant Debutante. 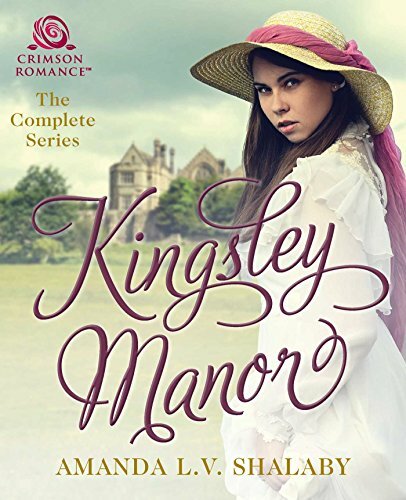 The story begins in 1855 New York at the newest rage in America—the Cotillion Ball–and moves from there to the newly found Hamptons and to a blazing iron trail finale in St. Louis. Ginger Fitzpatrick is a spitfire in more ways than one and is coerced into a New York season by her mother. Ginger wants to forward women’s rights through her work at her father’s bank and by helping to take up the temperance cause that some of her friends are involved in. During her story she meets the first female physician, Elizabeth Blackwell, and the ever-clever activist, Amelia Bloomer. Her adventures not only teach her how to trust herself and her choices, but she finds true love and companionship along the way. I remember reading Forever Amber and The Flame and The Flower when I was in my 20s, and wondering if I could ever write like that. It took me years to follow up on that question, and to trust myself. Of course, Nora Roberts. I cut my romantic teeth on her books. And Jude Deveraux, who wrote the best time-travel ever. Julia Quinn is another all-time favorite. There are others, of course, and my tastes have evolved as I’ve become more vested in the genre, but those are the big three, in my mind. And, outside of the genre, Stephen King, who actually did write a romance book, but he’s better known for other things. Most of his books scare the daylights out of me, but his book on writing is wonderful. I remember waking up at 4am with an idea in my head for a story and sitting down at my computer to pound it out. I had just finished Stephen’s book, and I heard his voice in my ear saying “That’s a passive sentence. You can do better.” I have to admit, hearing Stephen King whispering in my ear at 4am was chilling. Family is very important to me. In fact, the dedication in my second book is to my sisters and brother, without whom I could never have crafted a series about a family. They taught me that even though you love each other very much, you don’t necessarily agree with the life choices they make, but it’s okay, because their love is unconditional. I like to unwind in front of the television with my Sodoku app on the Nook, and a big bowl of caramel corn. Next is the story about Ginger’s twin sisters, Heather and Jasmine. Of course, to make the book about only one of them, I had to break Jasmine’s ankle early on, and force her to the sidelines for the duration of the book. Otherwise, she would have taken over. The Abolitionist’s Secret is about Heather, who travels with her new fiancé to Savannah, GA to meet his dying father. His mother hates Heather, since she’s a Northerner and not the woman she picked for her son. Talk about a scary mother-in-law. The book is being released in December, 2012 from Crimson Romance. Visit my website, www.beckylowerauthor.com. There you can find links to my Facebook, Twitter and Pinterest pages, as well as a link to my blog, which I try to post to weekly. In 1855 New York, Ginger Fitzpatrick has absolutely no interest in taking part in the newest rage in America—the Cotillion Ball. Instead, Ginger would rather be rallying for women’s rights—at least until she meets her brother’s best friend from St. Louis, a dark mysterious man named Joseph Lafontaine, who ignites her passion and makes her question if love and marriage is such a ridiculous notion after all. What she and the rest of New York’s high society don’t realize is that Joseph is half Ojibwa Indian, and therefore, totally unsuitable for marriage to a fine, cultured young lady. In this Edith Wharton-meets-Julia Quinn tale, a young woman rebels against high society and opts for a life in which she creates her own set of rules. Jan–Thanks for stopping by Amanda’s blog today, and for leaving your comment. 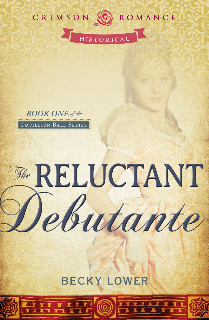 I hope you’ll enjoy The Reluctant Debutante. Thank you, Amanda, for the interview. You’re a delightful young lady and I’ve enjoyed getting to know you these past several months.